Here’s another novelty by Corsani. 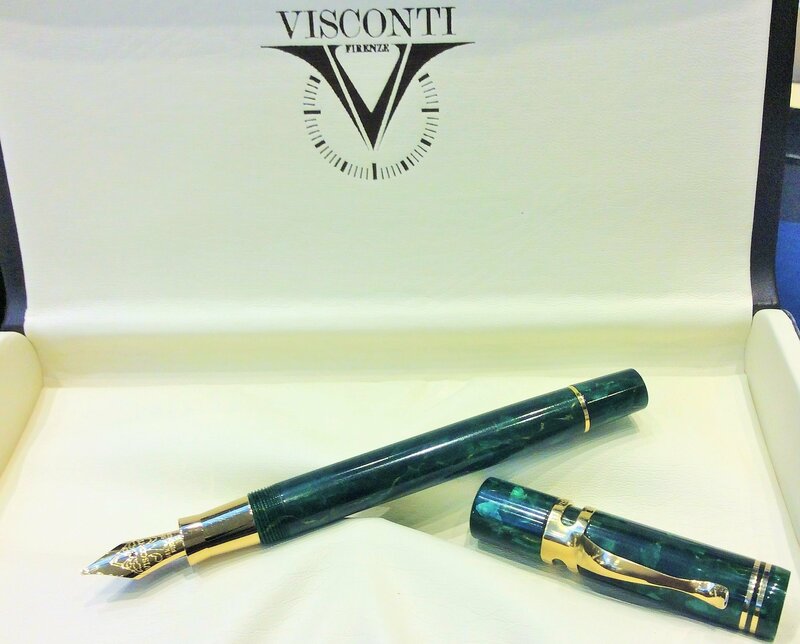 Our partnership with the Visconti florentine company grows with this new limited edition they provided for us. The model of the pen is the classic Ragtime. It is a fountain pen of medium proportions, quite thin but with a feature not common for this size of pen: the piston filling system. The pen is made of a precious green marbled emerald celluloid and fits yellow gold trims. The nib is a 14lkt solid gold available in three widths: fine, medium and broad. 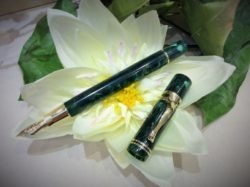 It is a perfect gift for pen lovers and collectors. Limited to just 30 pieces. 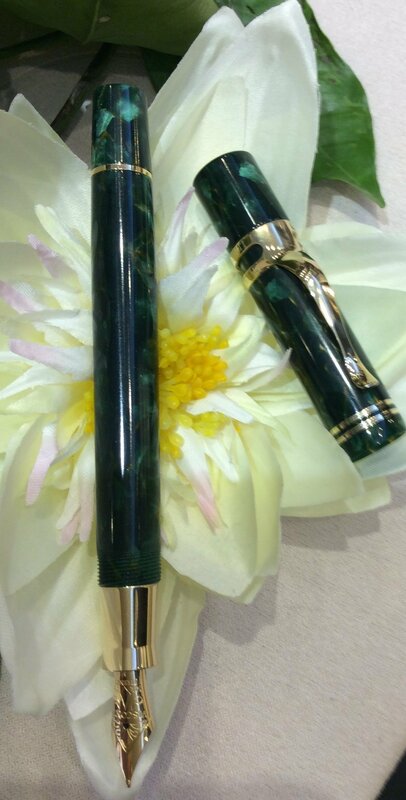 Visconti make some of the most beautiful and innovative pens in the world, from their factory in Florence, Italy. 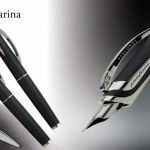 Along with their expertise in mixing resins into amazing colours and patterns, they have produced pens with the sort of complex but reliable filling systems rarely seen these days.Pininfarina is a legendary design house, based in Cambiano, Italy. They have designed some of the most iconic cars in the world for Ferrari, Alfa Romeo, Maserati, and many others.When Visconti and Pininfarina get together to make a pen, you know it’s going to be something special, and the Carbongrafite doesn’t disappoint. Crafted from unidirectional carbon graphite, the main body resembles the carbon fibre used in many racing cars. The sweeps and curves of the highly-polished trim could only have come from a designer of classic cars. The tubular shape of the retractable nib is reminiscent of car exhausts, tubular chrome structures, or parts of engines. 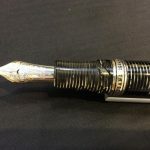 Typically for Visconti, tubular nibs have been made before, but other manufacturers gave up on them years ago as being too difficult; too expensive; no longer economical to make. They love a challenge.It’s practical too, in a way that perhaps can’t always be said for Pininfarina’s car designs! 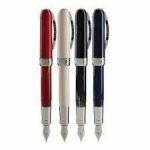 The nib extends and retracts with a quick twist of the barrel, so there is no cap to lose. The tubular chromium-steel nib is available in Fine, Medium or Broad. 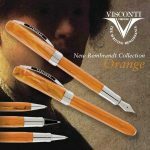 Visconti Rembrandt Collection , excellent rapport quality / price . Acrylic resin , color -toned chiaroscuro that made the famous Dutch painter . Rich colors of shades ranging from gray to red , orange , purple , ivory , blue . Steel nib . Also available in ball , roller and rollergrafico ie with the tip that you load a cartridge . 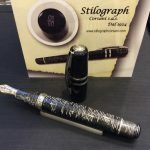 Possibility of instant customization through the use of patented system MyPen that removes the head with the logo Visconti and insert in place of the initial ready . Great ! !